Favoring the digital broadcasting a during 2009 February, a law came in to order which forced the television networks to broadcast the signals in digital form rather than in analog form. After this people had confusion that whether the old television sets will be useful or they have to buy a new one? In this case we need not buy a new television. The only thing that has to be done is to change the digital signal coming to the television into analog signal. By doing so we can view our favorite television programs without any disturbance. The following steps explain the process of converting the digital signal to analog signal which is the input to the old television sets. For the conversion we need a digital television converter box also known as the DTV box. This is useful in converting the digital signal it receives into analog signal which the input for the television. The main work for this box is converting the digital signal to analog signal which has a viewing resolution of 480i and it has an aspect ratio of 4.3. We can buy a digital converter box at any electronics goods selling shops. The costs of these boxes are in the range from $50 to $60. After purchasing the converter box we have to introduce connection between it and the television set properly, so that they work in coordination. The steps involving the connection are stated as follows. At first we must place the DTV box at the right position. It has to be near the television set. Before connecting them together we have to check whether the television is switched off and the plug is not connected in the socket. After finalizing that we have to remove antenna coaxial cable connected to the television set. We have to take this antenna cable from the television and join it to the DTV box. 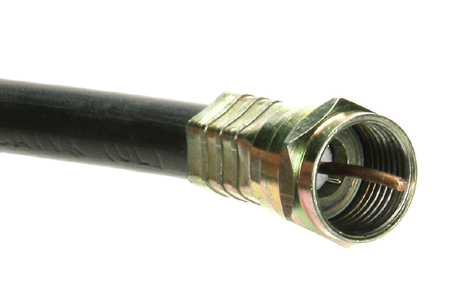 One end part of the antenna coaxial cable is to be connected to the DTV box. There would be a port saying out to TV RF. We have to connect the cable to that port. The next step is to connect the remaining end of the cable to the television port which says RF. We have introduce connection between the converter box and to the electric supply by means of AC adapter. The next step is to turn on the television and the converter box. The final step is to scan by means of the converter remote control which comes along with the converter. By doing so the converter box does it’s job by converting the digital signal to analog signal for the television. We have to change channels by the use of the converter remote control.